The band world was shocked today when a car plowed into a Mardi Gras parade in Alabama injuring 12 members of the Gulf Shores High School Marching Band. Immediately the shock waves were felt nation wide. We have received an update that 3 members are still in critical condition. The band that was marching was actually a joint band mixed with high school and middle school students. Of the 12 that were injured six were high school students while the other six were middle school students. The SUV that hit the band was actually part of the parade and was stationed behind the band. The band was 2nd in the parade order. The police do not believe that there was an intent to cause harm. The driver is fully cooperating. Something clearly went wrong and the driver was not able to stop the car. Bands across the country from high schools to drum corps and colleges have shown their love and support for the band and are hoping that everyone hurt recovers quickly. 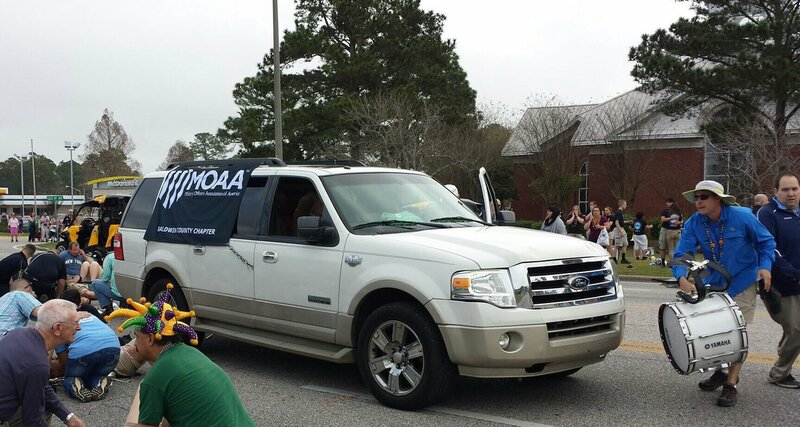 Our thoughts and prayers go out to those affected in the Gulf Shores Marching Band during the Mardi Gras parade earlier today. Join us in sending positive thoughts & vibes to Gulf Shores H.S. Marching Band. We're keeping all those affected in our thoughts & prayers! Our thoughts and prayers are with our band brothers and sisters from Gulf Shores High School. Our love and support to you all. One member of our band family on facebook has offered to fix any instruments damaged in the accident today for free. It's great to see the band family rallying together. We are hoping and praying that those three members in critical care are able to recover. Please keep them in your thoughts tonight.